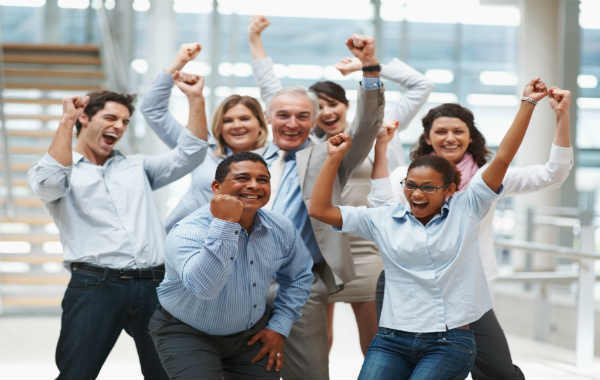 Good employees are at the heart of every successful business operation. It does not matter if your line of business is production, sales or services, the entire process relies on the quality of work you and your employees provide on regular basis. Let us discuss in detail why it is so important to hire and even more to retain a good employee. Having bad employees in your team can only produce negative results. Sometimes they do not become evident immediately, but in the long run the consequences will surely surface and continue to pile up affecting production process, customers’ feedback or services offered. What is surprising is the lack of timely reaction on employers’ side and often overlooking the evident lack of motivation, repetitive mistakes, decrease in sales and customers’ complaints. Thou this often happens due to time constraints and preoccupation with personal work or simply a lack of judgment, it is strongly advised that special attention is paid to monitoring the employees’ performance and results, all for the benefit of the entire company. Naturally, hiring is not the end of the process by any means. The only way to be sure that you picked the right person is to monitor his or her work and evaluate the results. The purpose of monitoring and comparing it to objectives is not only to critique the employees but to guide them in order to improve their performance and raise their self-esteem. Praises should be a constituent part of monitoring and evaluation as well. If the employees are aware that their work is valued, they will work more eagerly, maintain dedication and loyalty and remain a part of your team as long as you are pleased with them. The amount of time spent at work is often greater than the time spent with families at home. Separating business and private life is always advisable, but to a certain extent. Treating your work team as a work family is even more advisable and getting to know all your work family members as good as possible is what improves the quality of work on so many levels. Goodcommunication is of great importance, especially a two way one and it is often essential in retaining good employees since it gives them a chance to share their thoughts on working environment, overall working process and suggestions for future actions. Choosing the right person from the start makes everything a lot easier. However, how can one know if he or she is hiring the right person for the job? They cannot. However, they can make sure to minimize the potential mistake. Required qualifications are an absolute must and prior experience surely is a benefit. However, a properly conducted job interview is the best possible way to start. Finding out a candidate’s attitude towards commitment and responsibility is something that significantly reveals future actions. Background and reference check must follow after the interview. If you are having any doubts about whether you can complete the hiring process on your own, hiring a professional recruitment agency, such as RSP Recruitment specialist is stronglyadvisable. A quality working environment is shoulder to shoulder with salary when it comes to workers satisfaction and one of main loyalty builders. If you provide and maintain a healthy and productive working environment in which all workers are treated with respect and approached as equals and important factors for the overall success and failures of a company, you will create perfect conditions for retaining good employees. What is more, this will create a positive competitive atmosphere where employees will motivate each other to work better, knowing that this will not go unnoticed. Finally, this kind of environment will promptly separate those that do not deserve a place in your team from those you should hold on to in the long run. To emphasize again, any business success in any line of business depends mostly on employees’ contribution. Good results come solely from good work and dedication. Hiring and retaining good employees is essential in providing fundamental working requirements as well as building the environment necessary for these qualities to bloom in their fullest capacity.